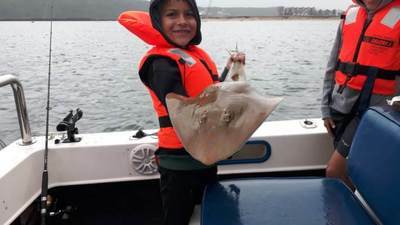 A 3 hour backline fishing trip on Nawty Girl in overcast conditions gave this family a great experience. 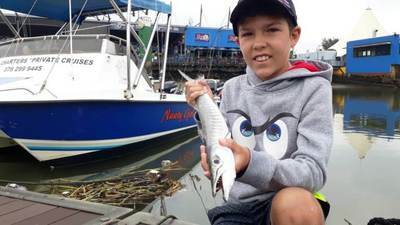 A wide variety of fish were caught like a Guitar Fish, Pick Handle Barracuda, Sand Gurnard, Black Tail, Rockod, Toby, Mackerel amongst others much to these boys delight. It gives us so much pleasure to share fishing and the ocean we love so much with others, especially the little ones.